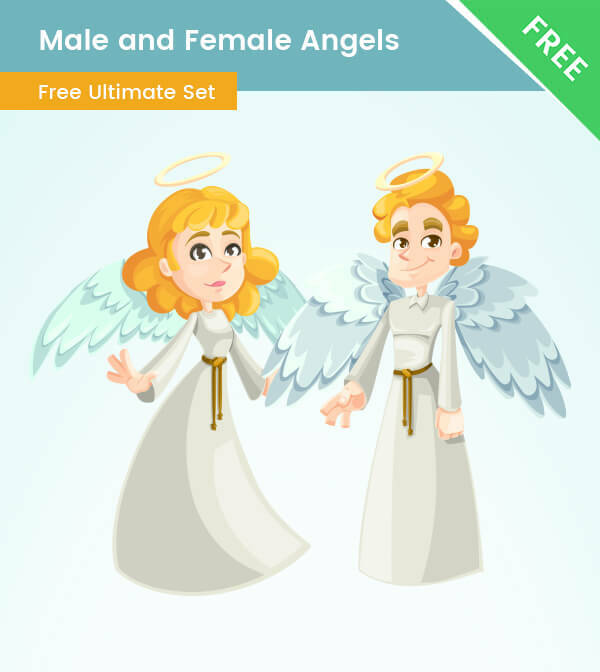 Man and woman Angel characters made of vector shapes in a cartoon style. They both have a halo and wings. Angels are often used in the business. Typically, wealthy individuals, angel investors aim to help entrepreneurial individuals succeed with a business idea by investing their own money. This is why these characters are perfect for your design. We’ve made these character with the usage of vector shapes, so you can easily modify them to fit your design colors. And to try them in your design you won’t pay anything – they are completely free for download.